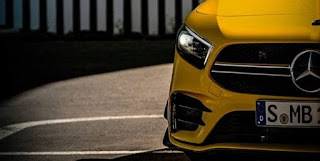 Although the Mercedes-AMG is considered too late to enter the hot hatchback class, there is absolutely no word "responsibility" when Mercedes-Benz and AMG together form the Mercedes-AMG A45 first. How not, the car used to use a 2,000 cc turbo engine with 380 hp more, which means it is the most powerful 2,000 cc turbo engine in the world. Coupled with a double clutch gearbox and 4-wheel drive, the Mercedes-AMG A45 can make Ferrari 360 Modena old-fashioned when tested. 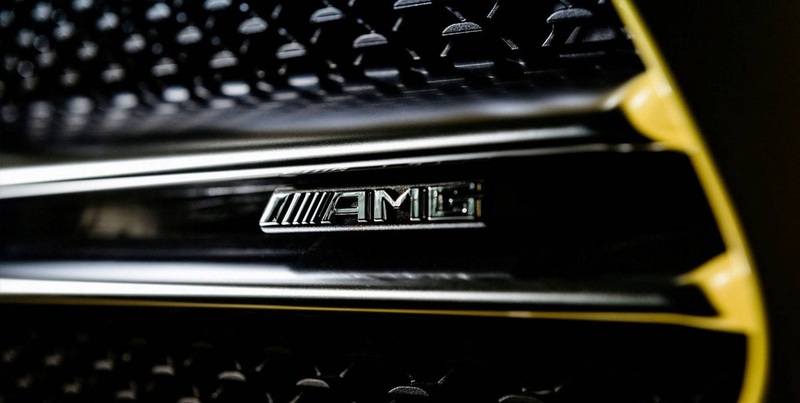 But along with the emergence of the latest generation of Mercedes-Benz A-Class, it means that the AMG version must be discussed. Mercy later revealed the initial design of the A35 Mercedes-AMG that has been eagerly awaited, but all of us have just been able to see it in full at the Paris Motor Show next month. 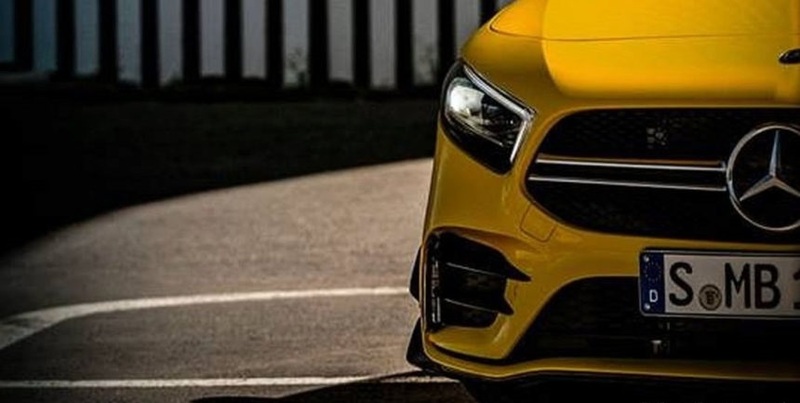 Photographs published on the official Mercedes-Benz Facebook and Twitter pages appear to display a "peeping" A-Class with the exterior of the Solar Beam Yellow Metallic, the same color as the Mercedes-AMG GT. But once again we confirm, this is the Mercedes-AMG A35. Can be read from a photo of a rear view that slightly shows off the emblem. Huh? 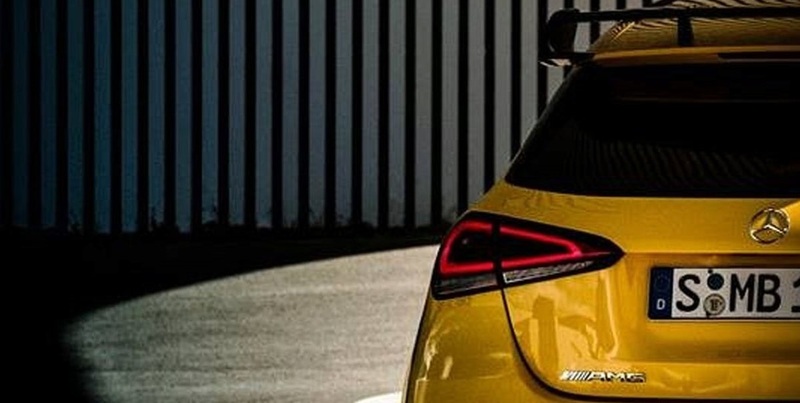 This is not a Mercedes-AMG A45? Unfortunately not, because the AMG A45 and A45 S are still in the development stage. The Mercedes-AMG A35 is a kind of half-baked AMG that will be faced with another hot hatchback like the Audi S3. It's like the Mercedes-AMG C43 against C63, where one is the half-finished AMG and the other one is real AMG. 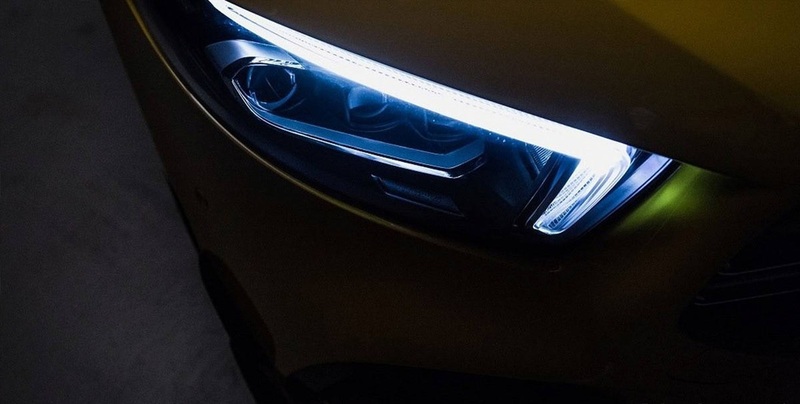 While the Mercedes-AMG A45 and A45 S will get a more exclusive Panamericana style front grille, the Mercedes-AMG A35 can only get the usual AMG Sport grille. Even so, the presence of accessories such as a sporty roof spoiler and a large exhaust (hopefully double exhaust) makes this small car more attractive. The other engines and specs from the Mercedes-AMG A35 have not been officially released yet, but there are rumors that this car will get a 2,000 cc 4-cylinder turbo engine that was previously used on the A45. Supported by EQ Boost technology, at least the Mercedes-AMG A45 must have more than 300 hp and more than 400 Nm of torque. With the addition of a typical Mercedes dual clutch gear and AWD 4MATIC drive, running from 0 to 100 km / h is completed in 5 seconds, although the edges will be electrically limited at 250 km / h, according to regulations. Just look, if the A35 is like this, it's not like what A45 will look like. What do you think? Convey in the comments column! 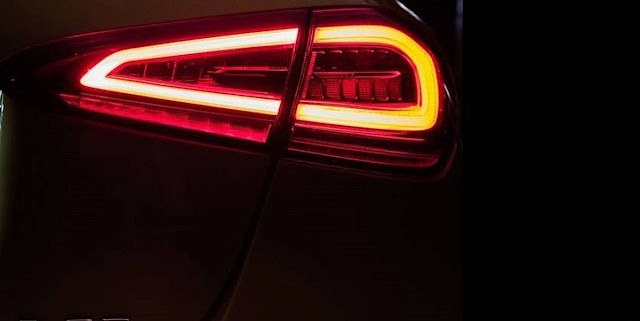 0 Response to "The Mercedes-AMG A35 Slowly Appears, Stretch EQ Boost"